Easter is upon us once more, and all of the top bingo sites are launching new promotions to celebrate the beginning of spring 2019. If you want to find out where to play for the biggest prizes, you’ve come to the right place. It’s our mission to bring you all of the top deals and greatest offers all year round, so you can get even more from your favourite game. Read on to find out all the details of the most lucrative Easter and spring bingo promotions this April, as well as the terms and conditions you need to know in order to choose the right offers for you. Every Monday and Thursday at 8.30pm from 27th March up to the 22nd April, 888Ladies are offering a thrilling 75-ball bingo game worth £5,000 in their 5K Easter Basket bingo room. All of the prizes on offer are cash, and even better, everyone’s guaranteed to be a winner! From a £700 cash prize for a full house down to 2TG winners sharing £100, everyone playing splits an extra £2,200, making this the perfect deal for any bingo lover. 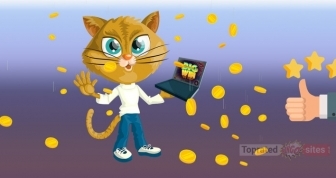 This shared game credits jackpot prizes in real-money funds right into the winner’s account, with a maximum of 96 cards permitted to be purchased by any single player. Spring has sprung with bet365, and their Spring Games offer is here for the whole month of April. bet365 are offering players the chance to win cash prizes every day between 1st and 30th April 2019 in their Guilty Pleasures bingo room between 8pm and 10pm GMT. Players can win a share of the total prize pool amounting to £20,000 in cash. Tickets cost from 5p up to 20p with Big Prize Games scheduled every 30 minutes. The game is open to all members of Virtue Fusion bingo sites, so it is a shared promotion. Wink Bingo is offering an April promotion which can be accessed by entering the code “EASTER” up to 23.59 GMT on 22nd April 2019. Participating players who make at least a £10 initial deposit will receive a maximum £100 200% deposit match bingo bonus together with a maximum £100 200% deposit match games bonus and 100 bingo tickets to the £5K Golden Eggs 75-ball bingo games. This Easter bingo room offers £35,000 in cash prizes with £5,000 cash jackpots for every game. Games play twice weekly on Mondays and Thursdays at 8.30pm GMT. There are also Prize Eggs to be found with guaranteed prizes worth over £15K. It’s important to note there’s a 2x wagering requirement on the bonus funds available in this offer. GiveBack Bingo are giving players £30,000 in cash prizes during April 2019. All you need to do is enter the daily prize draws and you stand a chance of winning £1k per day all month long. Players need to opt into the promotion, then wager every day so they can earn tickets for the daily draw. For each £10 wagered, one free ticket for the promotion is awarded. As an added bonus, all non-winners will be automatically entered into the weekly runner-up draw in which a hundred players will be rewarded with a bingo card giving them access to the £20,000 cash guaranteed game. The April Showers promo is also running at other Daub sites like Kitty Bingo and Lucky Pants Bingo, so make sure you check those out, too. Buzz Bingo are running a Springtime Spectacular in their Link 90 Ball network room with cash prizes on offer up to a maximum of £20k. Games are running every day throughout the month of April from 8pm until 10pm GMT. The promotion offers guaranteed prize money, with ticket prices varying between 5p up to 20p each. 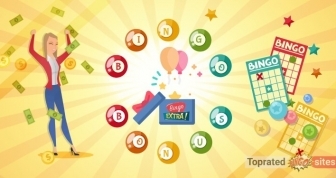 Players can purchase a maximum of 96 bingo tickets to enter this promotion. A £5 minimum withdrawal limit applies to this offer, with all winnings being paid in cash into the player’s account. Head over to BGO Bingo this spring to enjoy a month of gaming thrills in the April Marathon! Every day sees a brand-new Slot Tournament with cool prizes on offer including Apple Watches, TVs PlayStations, real cash, and entry to the BGO Bingo £10k Main Event. There’s no cost to enter the April Marathon slot tournaments. Free entry is awarded to all players who make a minimum deposit of £10 by 28th April. Players are awarded a specified number of Tournament Spins, and if they make it into a top position, they’ll win a great prize! The £10k Main Event takes place on 29th and 30th April and offers the chance to scoop £10,000-worth of cash prizes, with £5,000 available for the top-ranking player. All Betfair customers can take part in this month’s Spring Prize Boost. 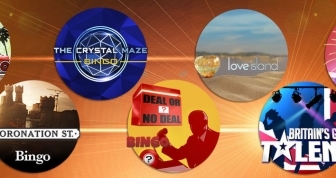 The offer is open to anyone who plays in the Big Wheel bingo room between 8pm and 10pm GMT every evening during the promotional period (1st April up to 30th April 2019). Punters stand a chance of winning enhanced prizes worth £20,000 every day with prizes being paid in cash into the lucky player’s account. Head over to Heart Bingo and enjoy their Spring Audition promotion. Simply enter the Lollipop bingo room at 9pm from 4th April up to 10th April and you’ll have the opportunity to be selected to join the Spring Addition game. This fun-filled chat game offers up to £10 in cash to be won along with other cash prizes on offer for players in the room. Two players are chosen with a Shout-Out to play the game. The first 3 numbers to be called will be totalled with the object of the game being for the players to reach a figure as close to 99 as they can. If they manage to total 99, both players win £10 and the rest of the chat room receive 10p-worth of tickets for that bingo room. There are also £5, £3 and £2 prizes available depending on the total of the three numbers. Are you ready to have more bingo fun this spring? Then head over to any of these sites and discover outstanding promotions that will help you to get even more value for money from your gameplay. With so many exciting deals on offer, you’re sure to have an even more egg-citing Easter this year with the top bingo operators on the web today.